Tommy Roling has a great freelance job, a healthy daughter, and a new city to call home. Plus he's finally comfortable with the fact that he's a werewolf. So why isn't he happy? Could it be his daughter's "terrible twos," which seem even more terrible because she chooses to stay in her wolf body most of the time? Or is it his growing distance from his family as well as Nina, his on-again, off-again girlfriend? 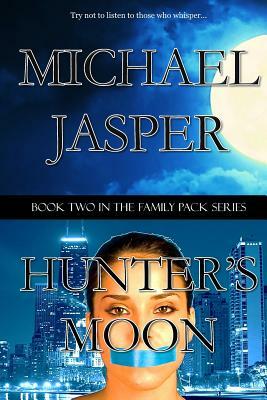 The second book in the Family Pack series of "rural fantasy" novels, Hunter's Moon picks up a year after the first book, Family, Pack. For his day job, he works as a technical writer. He lives with his family in North Carolina, and his website is michaeljasper.net.